An idle conversation that looked ahead into 2013 followed by an idea to write a daily blog for the whole year. It is the stuff of madness but this is not uncommon in the world of Scottish island mum. 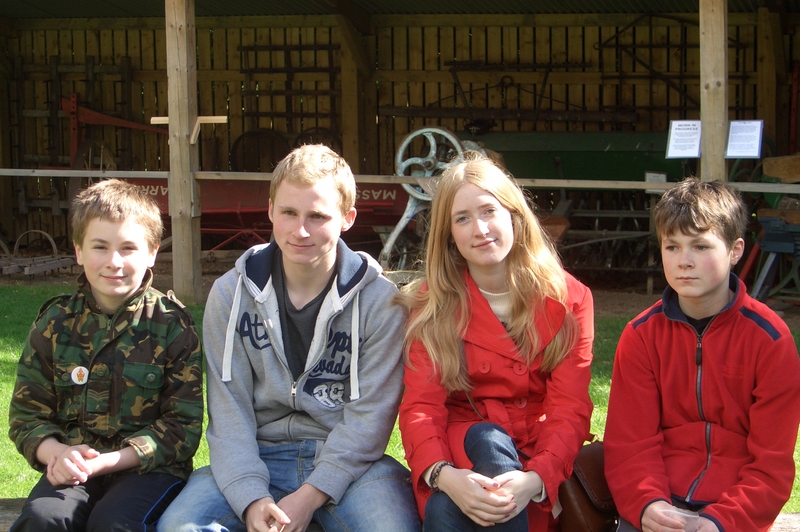 The madness was affirmed in conversations with her children who all agreed that she would deliver on the challenge. It is quite possible to become obsessed with challenges. And so the journey began on a single day in January with a rather reluctant share on facebook. More idleness as is the way on the 1st of January led to one or two people clicking on the link and commenting that it was an interesting project but doubts were cast on whether it was possible. What these people did not know is that Scottish island mum’s late father had long since mastered the art of reverse psychology. Every time he wanted to persuade her to do something he would inform her that it was probably beyond her….. So with a real sense of determination and commitment the epic writing journey got underway but the rapid ripple effect caught us all by surprise. Within 37 days Scottish island mum had received 1000 page views and every day the figure was climbing at an alarming rate. The only way to navigate this was to try and establish a dialogue with the increasing number of readers so that became the new intention behind the project. Luckily that little trick seemed to work quite well and Scottish island mum was soon chatting away with readers on her now new shiny dedicated facebook page. Interest in the project grew and it began to reach beyond a gentle evening read once the children were asleep. Ideas began to be penned and delivered through screens to readers who clearly had a view on how to shape those ideas. From this came projects and let us just say that from that point projects came tumbling one after each in a constant stream of readiness. That was until the sudden realisation that Scottish island mum had taken over some inner worlds and the dialogue had deepened into a thinking dialogue that appeared to know no boundaries. 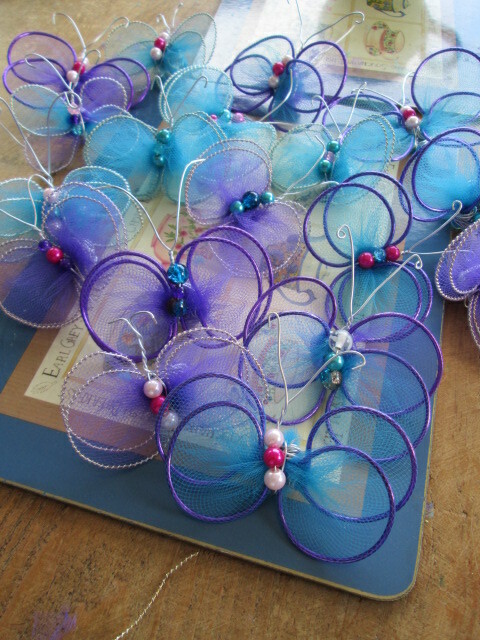 Butterflies to sell for charity. From dancing paintings to butterfly trees and everything in between Scottish island mum and her thinking speakers got involved in all sorts but if we looked closely we could see the embryo of a theme beginning to form. In reaching out to her readers Scottish island mum had found a mutual need to want to make a difference to the lives of those less fortunate and now the story really took off. As projects tumbled they began to bind together to raise money to buy mosquito nets in Zambia as part of the fight against malaria. Suddenly, a difference was being made and by a community that spread across the globe. By now Scottish island mum had readers in every continent and emails that flooded her inbox on a daily basis. Replying to each and every email became a growing honour and never once did it become a chore as Scottish island mum inhabited an ever growing and ever loving space in the world that we call virtual. If this is where the story ended we would be happy. 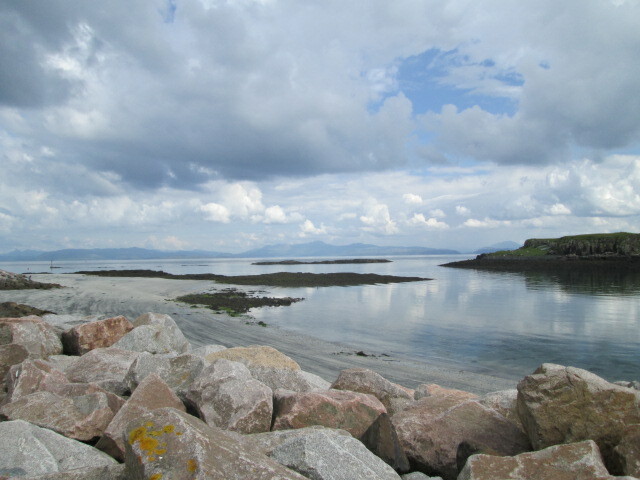 But the story kept unfolding into the summer months where Scottish island mum was temporarily transported to another island, the Isle of Eigg, to spend some time contemplating all that was important in life. That transportation changed her view of the world she lives and still people remained on the journey as an encounter with a formidable character from days gone by began to take whole of many of the readers. This was the calm before the storm as once back in familiar surroundings Scottish island mum was forced to confront the challenges that life can present. From a mercy dash to a dear friend through to the tragic loss of one of her best friends we all followed the same path and shared some of the pain. Scottish island mum had moved into a new darker space that was uncomfortable but necessary and, for a time, tragic losses raged her little island and a community, that extended way beyond the shores, mourned. Life had treated us to a series of incidents that bound us together ever closer and reached deeper within our souls as we chased spirits and learnt how to dance in the rain. Wet and cold we took shelter for a while as we began to see the end just coming into view. The reaching out to help others discourse was so well established that opportunities began to disguise the view of the end. These opportunities were shared and celebrated as Scottish island mum emerged from the darkness and skateboarded her way towards the light at the end of the distant tunnel. As the view built so did the sense of ending and the inbox glowed brighter with each day as more and more messages broke through the deafening silence. The silence that told us that it had been a blast and that the community that had become Scottish island mum was safe and secure as it considered its next gentle steps into 2014. With hints of migration the blood began to flow through the wings as in a flash, that came too quickly, she was gone.